With R-HUB Web Conferencing Servers, you gain much more than just a collaboration tool. You might be surprised to discover that R-HUB Web Conferencing Servers can also be used for improving your sales training. 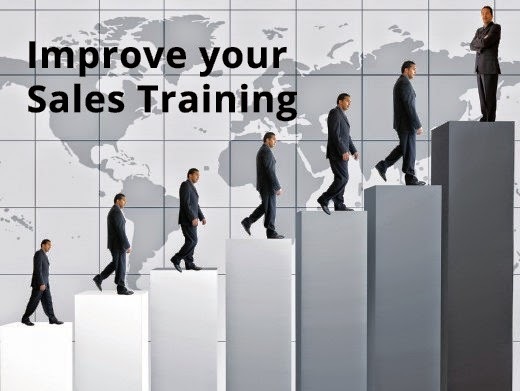 Below are three ways that R-HUB can be used to improve your company’s sales training. Turnover is a simple fact of life for sales organizations. Yet, bringing new sales reps up to speed usually cannot happen fast enough. Even worse, sales managers often assign a new sales rep to a tenured rep to listen to calls and demos, effectively tying up the time of two people. In a best case scenario, the new sale rep hears one or two decent calls. In the worst case scenario, the sales rep picks up some bad habits that the sales manager likely does not even know that his best reps are using. Or, the entire day could be spend unproductively as the new rep listens to someone simply leaving voice mails. R-HUB Web Conferencing Servers offers the ability to record customer interactions, thus providing the perfect sales training tool. Customers love this option because they are sent a recording of the demo that can be shared with other key decision makers. Your company is able to handpick recordings based on your selected best practices. Any time that is spent listening to calls becomes 100% efficient and productive because you can be assured that every demo and call a new rep reviews is good. Perhaps best of all, you are able to maintain a consistent model for good calls, ensuring that all new reps receive the best examples during training. You can also use R-HUB Web Conferencing Servers to test your sales team. Select pieces of demo calls and ask reps to then carry the demo forward based on the information they have heard up to that point. For instance, you can solicit recommendations for features to be shown to the client or to even highlight what was left out of the call. This helps to ensure that everyone understands the best practices to utilize for different demo scenarios. Choose to test on an individual basis or perform testing live in groups with teams, the choice is up to you. Both options provide critical insight into how much your team knows while giving everyone a chance to improve his or her sales skills. While the ability to see and hear real calls can be tremendously helpful, much of this knowledge simply does not stick until it is actually practiced. Instead of running the risk of a new sales rep trying out their newly developed skills on real clients, you can take advantage of role playing to give your new sales reps real life practice. R-HUB allows you and your employees to role play utilizing the subject matter and scenarios you would like to highlight. You can also opt to stop a recording at any point as well as continue the call. This option can be particularly beneficial for the tricky parts of a sales call, giving you the chance to role play, and then play the remainder of the call to demonstrate how it should be conducted effectively. Regardless of whether you have your own sales team or you know someone in this situation, R-HUB Web Conferencing Servers can help to improve sales training. Recording customer demos, testing, and role playing are just a few of the effective ways you can begin using R-HUB web Conferencing Servers to improve your sales training.